This is a perfect gift for animal lovers, children, grandchildren, teachers, families and friends. 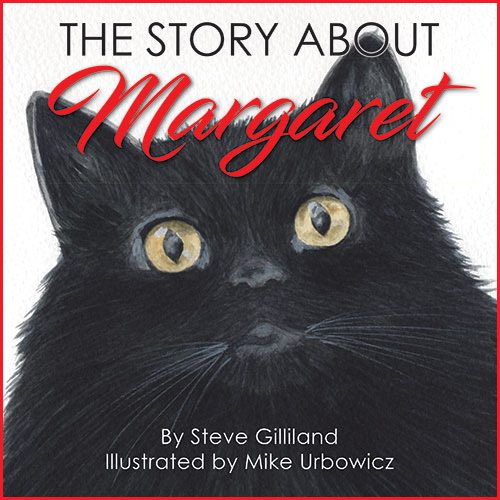 THE STORY ABOUT MARGARET is being released and offered exclusively through Steve Gilliland, Inc. and will not be available on Amazon or any other outlets. Thank you for helping us make a difference! Steve Gilliland is a prolific, accomplished author, evidenced by his being named Author of the Year. His books Enjoy The Ride, Making a Difference, Hide Your Goat and Detour were all listed on the publisher’s bestseller list. In addition to his achievements as an author, he is one of the most sought-after and top-rated speakers in the world, supported by his induction into the Speaker Hall of Fame, an honor bestowed on only 232 men and women worldwide since 1977. He was named one of the top 10 Motivational Speakers in 2015 by eSpeakers from over 9,000 candidates. Recognized as a master storyteller and brilliant comedian, he can be heard daily on SiriusXM Radio’s Laugh USA. He built a multimillion-dollar company from the ground up, which the Pittsburgh Business Times named one of the fastest growing privately held companies in the region. Speaking to more than 250,000 people a year, he influences the lives of millions through his presentations and books. 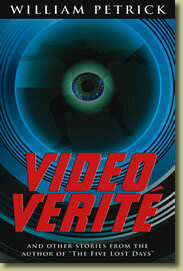 In our media-saturated world, the line between reality and fiction has grown thinner and more confusing. With sharp, clear prose and an insider’s view of the media, Petrick’s stories take us into a hall of mirrors where men and women struggle to understand themselves and their relationships with one another. In a climate defined by images, does love stand a chance when no one is certain what is real? In the title story, an accomplished skydiver goes airborne with a video camera to capture the love of his life, but a small oversight upends his best intentions. In “Sins of the Father,” a man arriving in Huntsville, Texas to commute his son’s death sentence clashes with a documentary producer intent on chasing the story to its bitter end. In “Telling Time,” a corporate video producer, conflicted by his own immoral conduct, learns that sometimes the absolute truth is the most effective lie. William Petrick’s short fiction has appeared in a variety of literary journals, including Confrontation, Worcester Review, Palo Alto Review and The Distillery. He is an Emmy Award winning documentary producer/director who has created programs for National Geographic, Discovery, MTV, Court TV and many other cable and broadcast networks. He lives with his family in Brooklyn, New York.